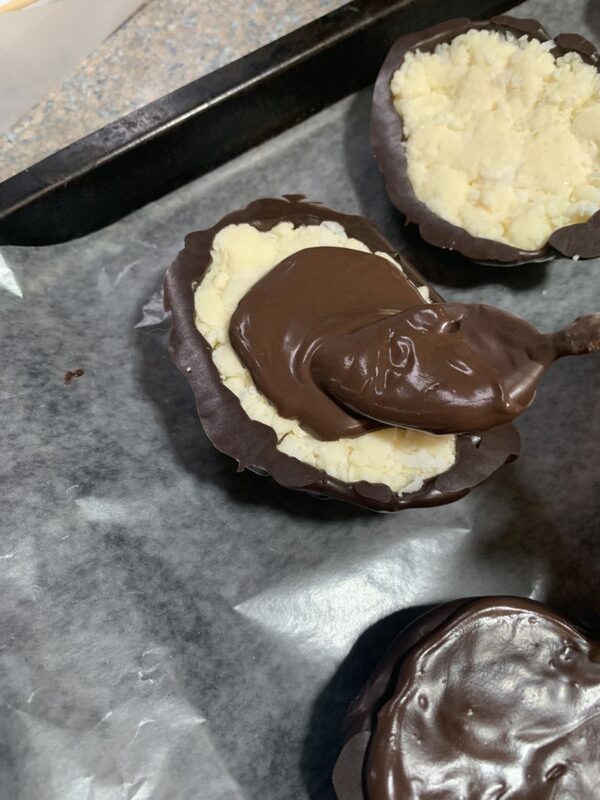 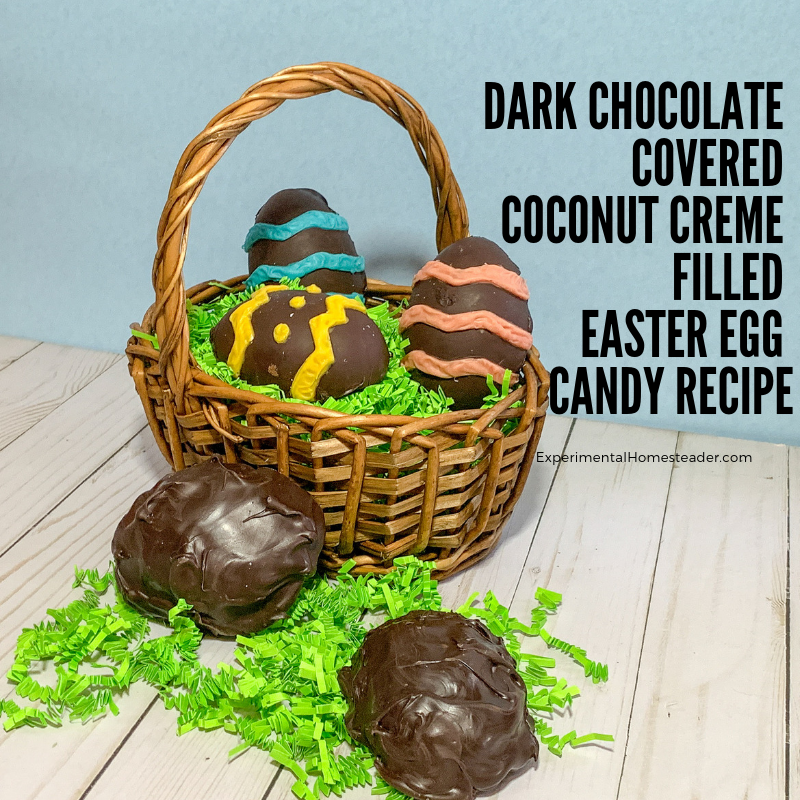 This dark chocolate coconut filled Easter egg candy recipe is made two different ways, so even if you don’t want to spend a lot of time painting your eggs, you can still make the recipe. 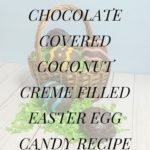 Plan to make this Easter egg candy recipe at least two days ahead of when you actually want them, because the coconut centers need to be refrigerated overnight for the best results. 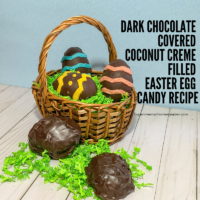 Once they are made, keep the coconut creme filled eggs refrigerated to keep the centers hard. 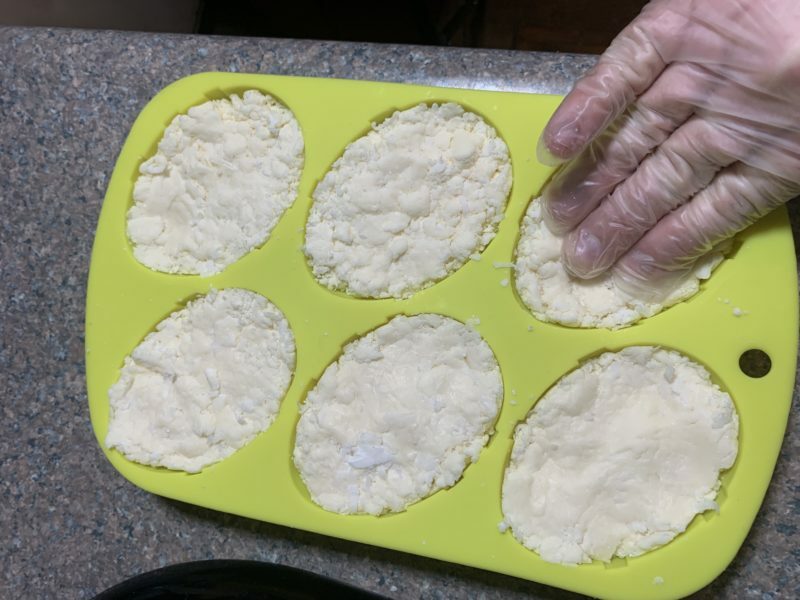 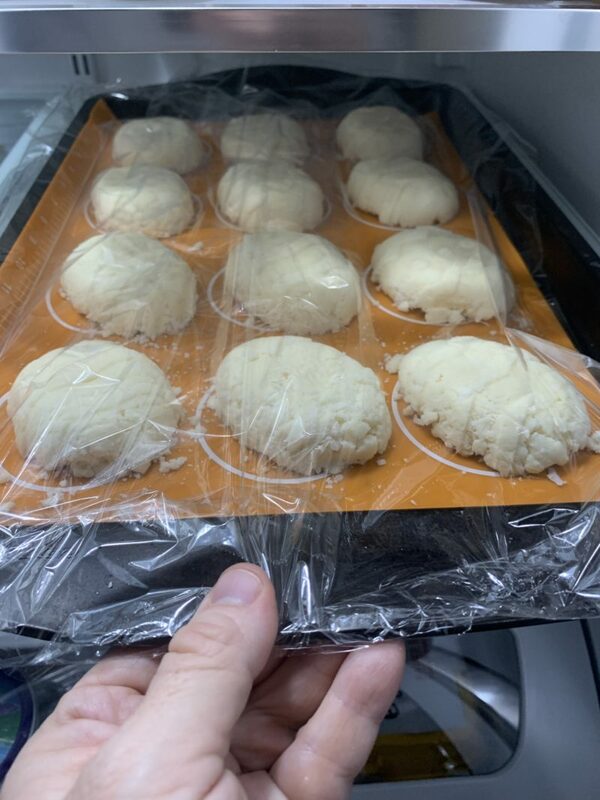 For those who prefer a softer center, remove the coconut creme filled eggs from the refrigerator and allow them to sit at room temperature for three to fours hours minimum. 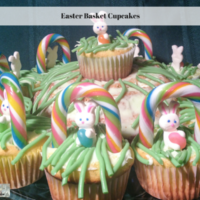 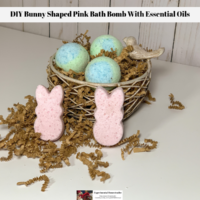 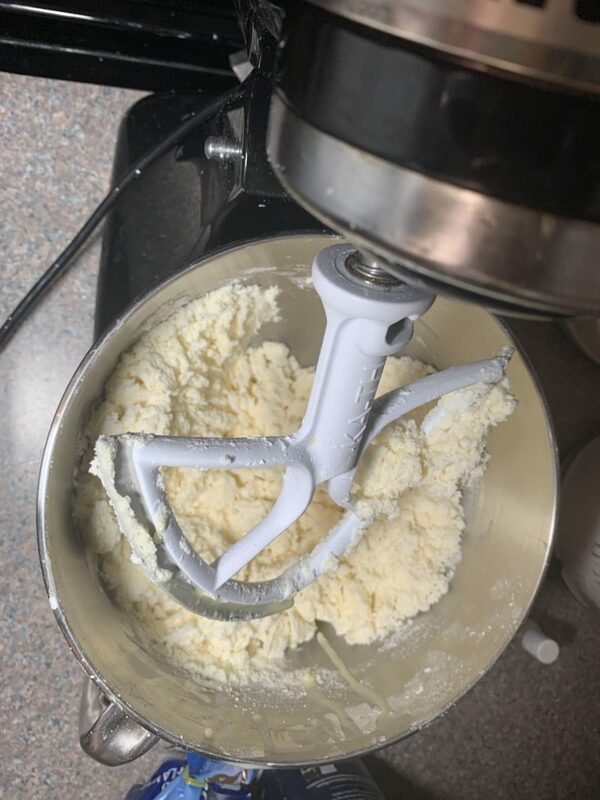 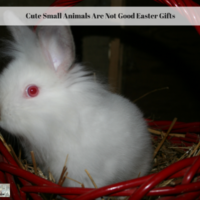 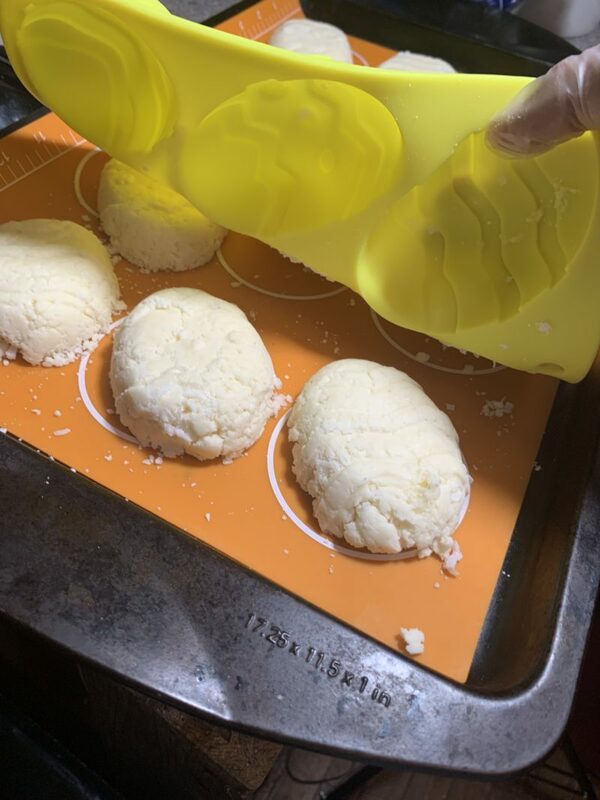 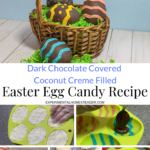 These make great gifts and are perfect to put into Easter Baskets, plus the cost of making a batch of these is a lot less then if you were to buy them individually at the store. 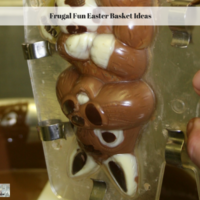 Simply put each egg in it’s own small zippered plastic bag or wrap each egg in Saran Wrap. 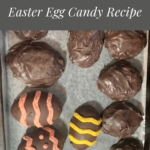 I used the large jewelry bags available at my local craft store. 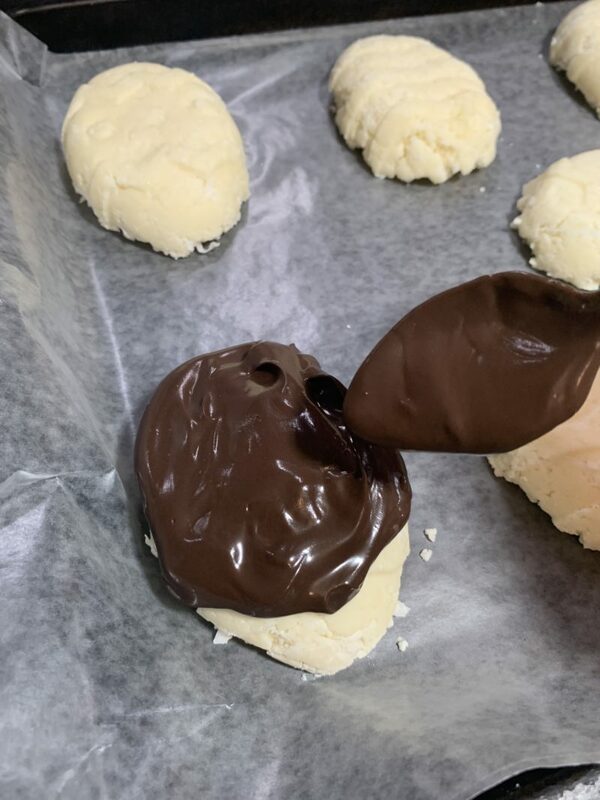 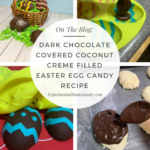 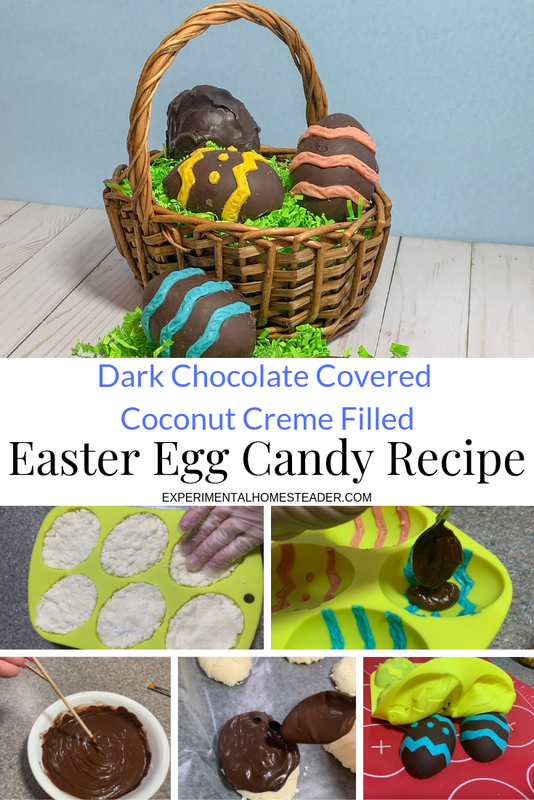 Here are both ways to make this dark chocolate covered coconut creme filled Easter egg candy recipe. 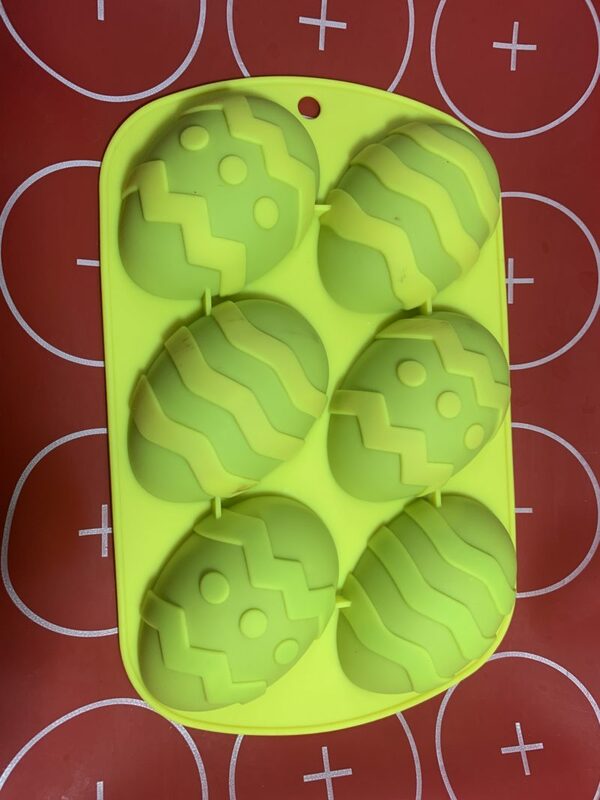 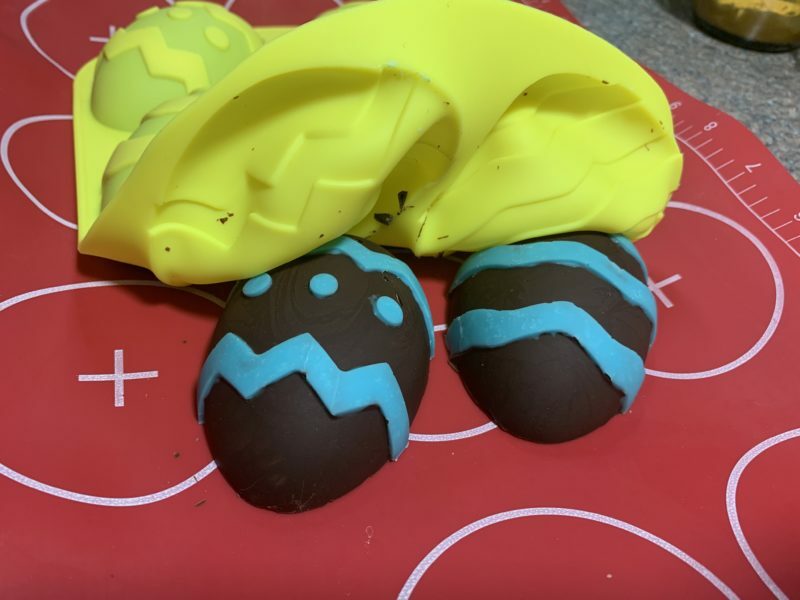 Be sure to read through all the instructions for both styles of creme filled Easter eggs to make sure you completely understand how to make these. 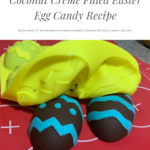 While the instructions might seem complicated if you have never made coconut creme filled candy before, this is a really easy recipe to make. 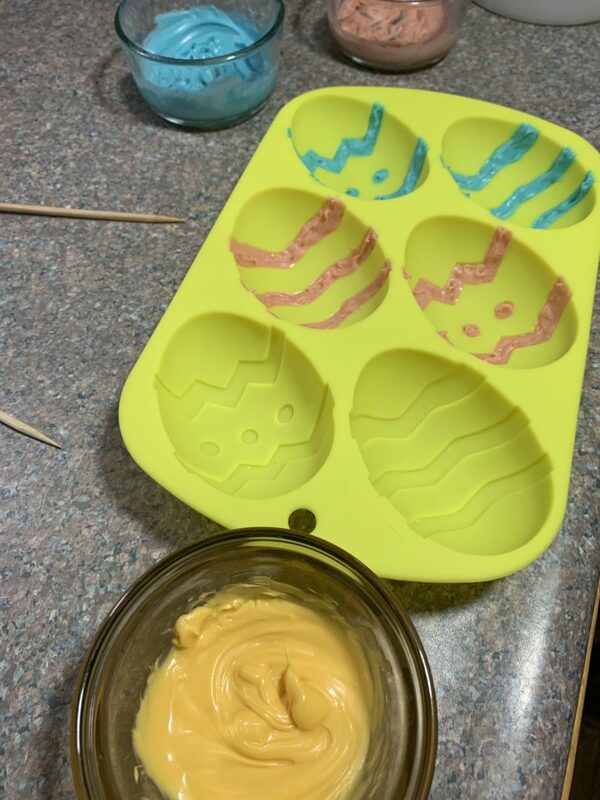 The hardest part for me was deciding how many painted eggs I wanted. 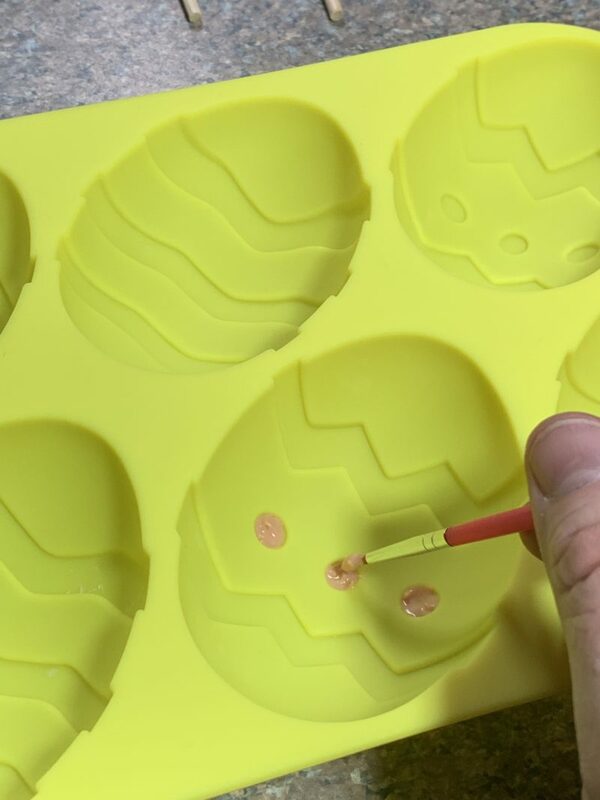 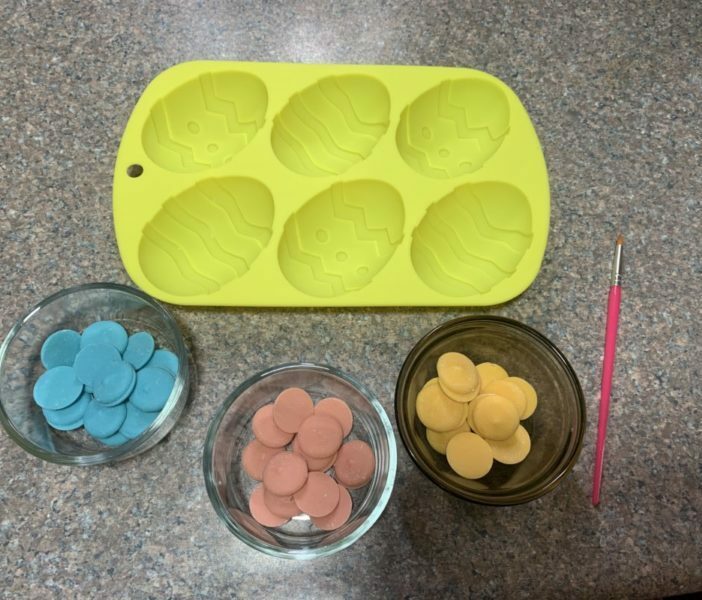 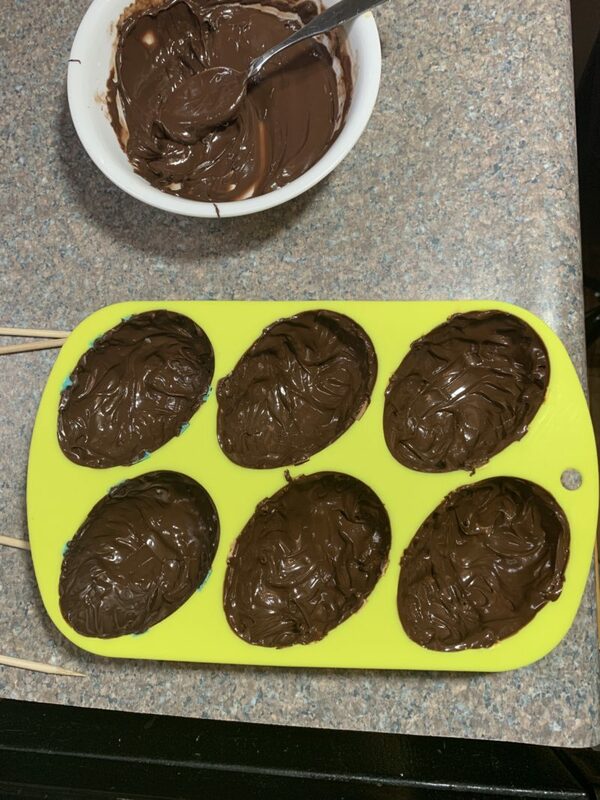 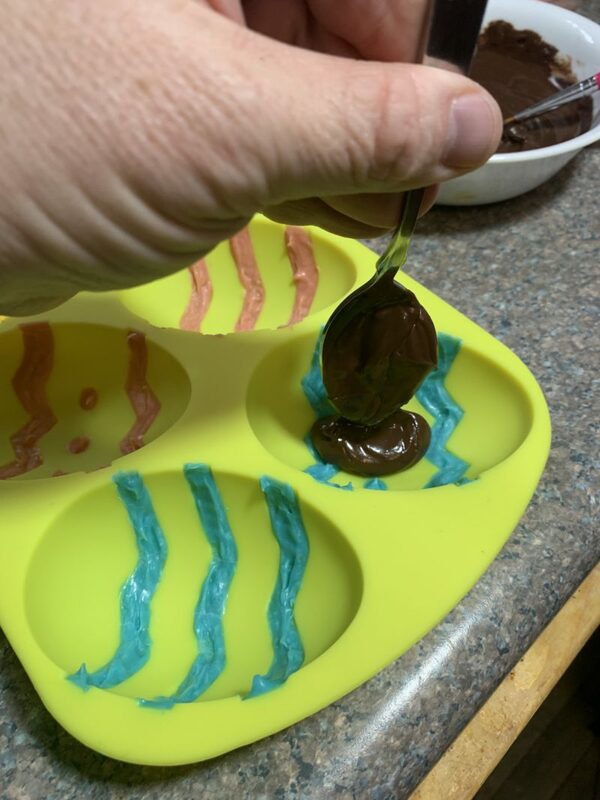 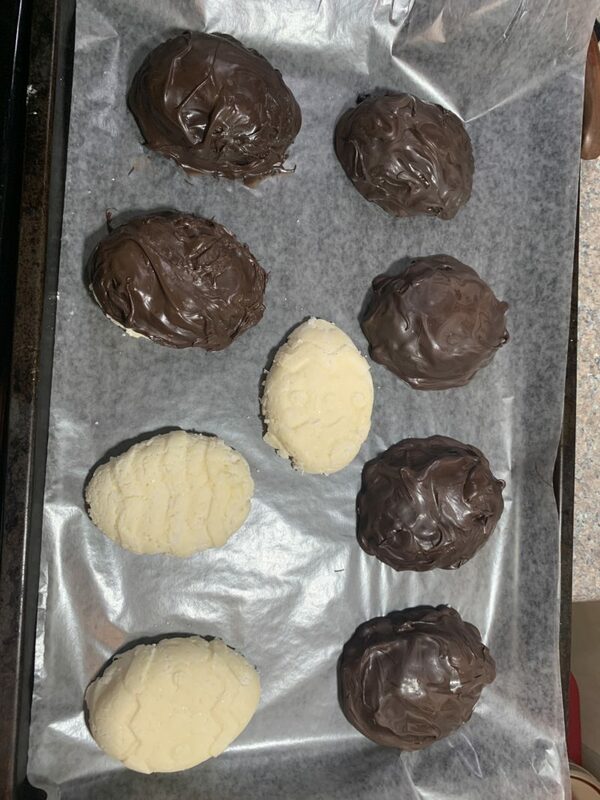 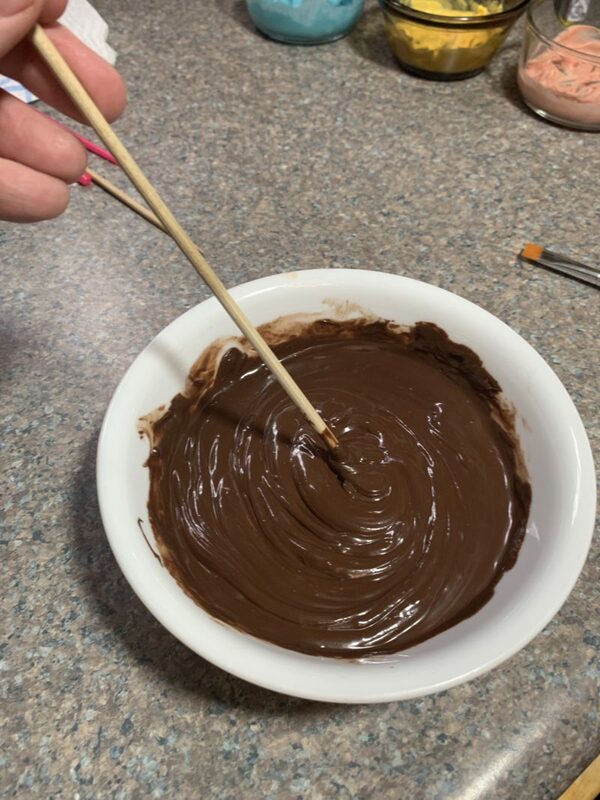 The chocolate covered eggs are less tedious to make for sure and would be great for kids to try their hands at. 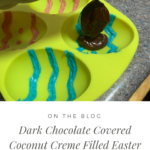 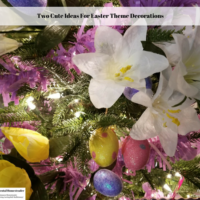 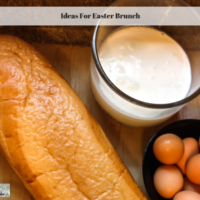 Plus you could let them paint on the eggs with the melted chocolate candy or even use decorating tips and melted chocolate to create a decorated egg. 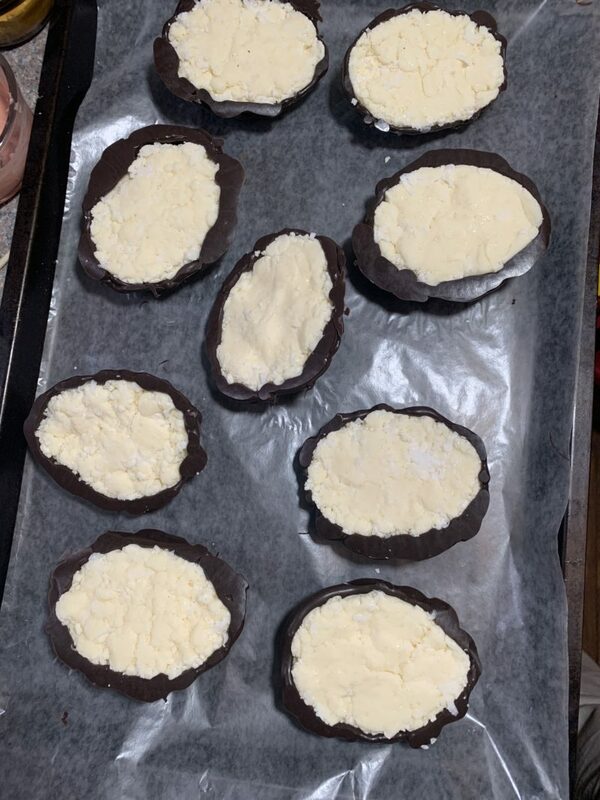 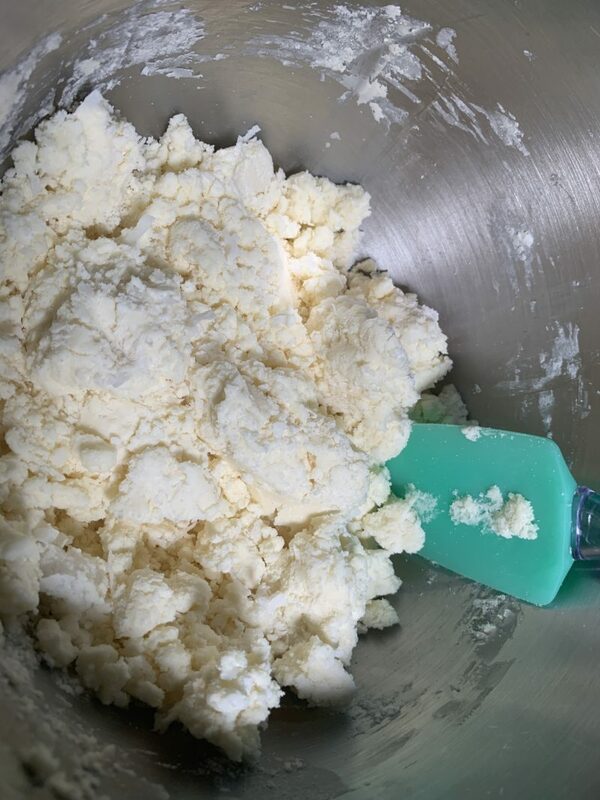 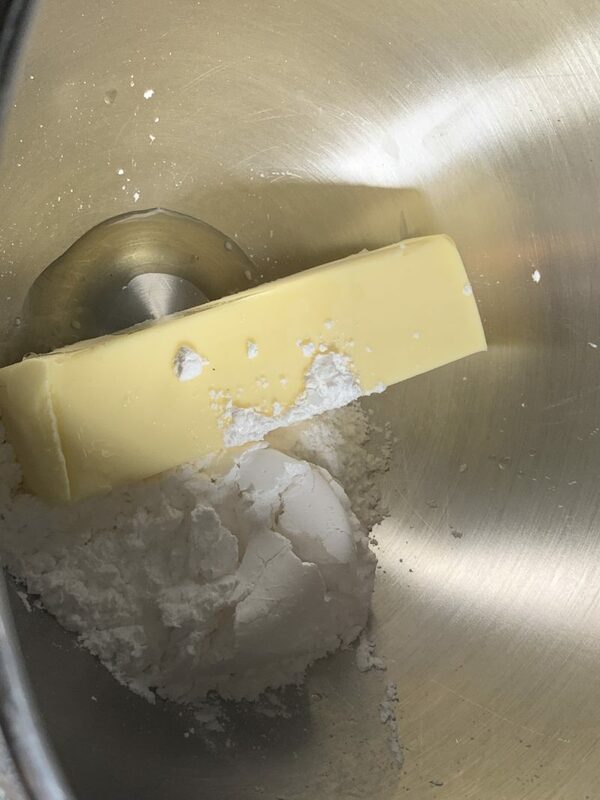 The key is to make sure to refrigerate the eggs long enough for both the creme filling and the chocolate to harden. 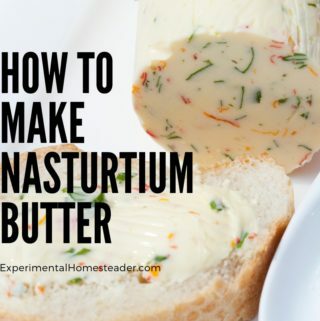 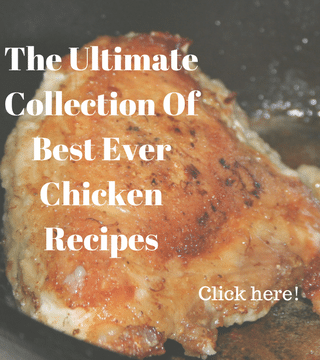 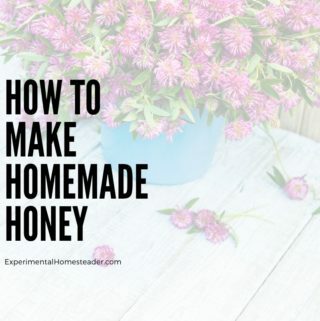 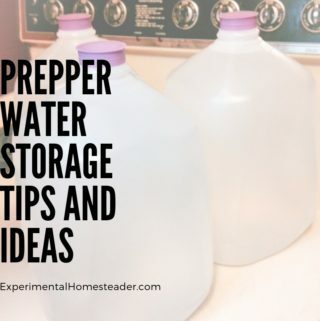 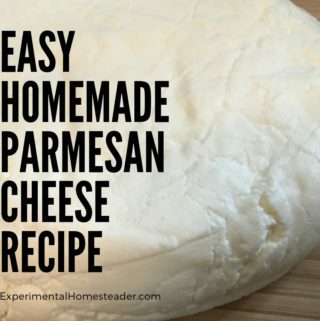 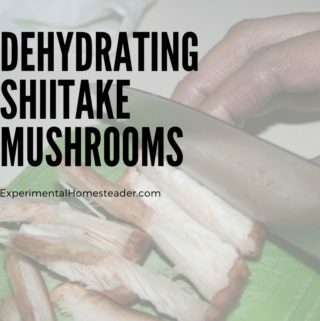 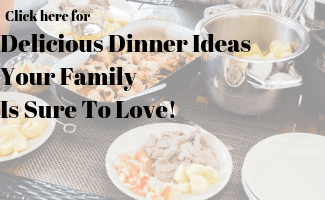 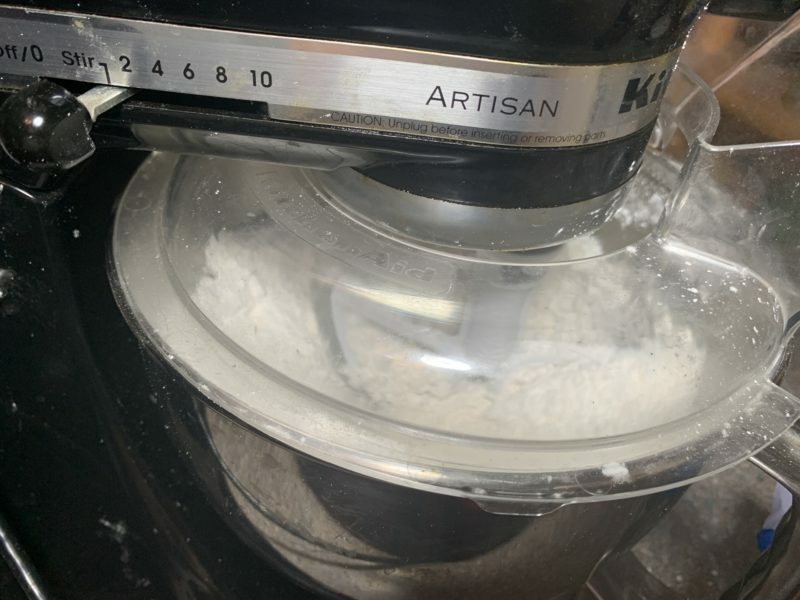 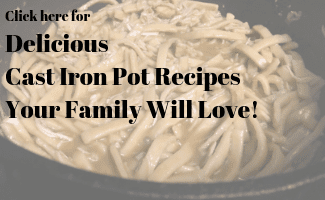 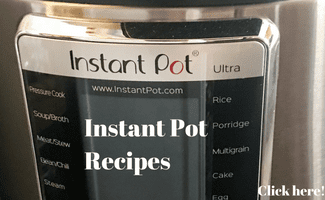 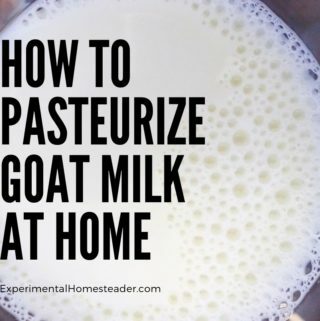 I really hope you enjoy this recipe and do let me know if you have any questions in the comment section below.